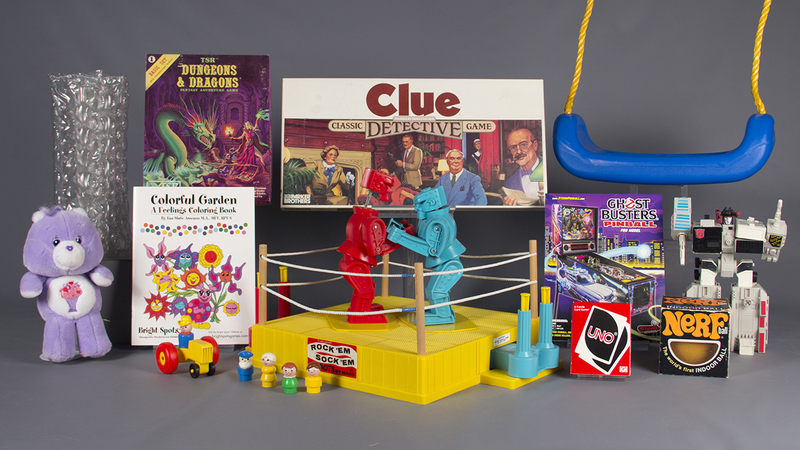 ROCHESTER, NY -- The Fisher-Price Little People and Care Bears will square off against Rock 'Em Sock 'Em Robots and Transformers for a place in the National Toy Hall of Fame. Whether any or all make it will be announced Nov. 10. Twelve finalists for the Class of 2016 were revealed Tuesday by the hall at The Strong museum in Rochester, New York. Also making the list: Nerf, the board game Clue, card game Uno, pinball, the swing, Dungeons & Dragons and coloring books. Rounding out the list is bubble wrap, which could join the cardboard box and stick among unconventional honorees. To be recognized by the hall, toys must have lasted across generations, influenced the way toys are designed or played with, and fostered learning or creativity through play.